Synonym: Also listed by its original name Balanus amphitrite. Size: The maximum basal length is commonly around 2 3 cm. Balanus amphitrite is a common, widely distributed coastal and estuarine biofouling organism, found on hard natural surfaces such as rocks, in oyster beds, mangroves and mollusk shells. It is also found on artificial substrates like ship hulls and seawalls. When submerged it filter feeds by means of paired extensible sieving appendages called cirri. The extended cirri are oriented perpendicular to the general flow direction of the water. Food concentrations and water velocities elicit different patterns and rates of movement of the cirri to maximize particle intake. This species is found in warm and temperate waters worldwide. Its native range is uncertain, since there are several closely related species that are often difficult to separate, but may be located in the Indian Ocean to the southwestern Pacific. 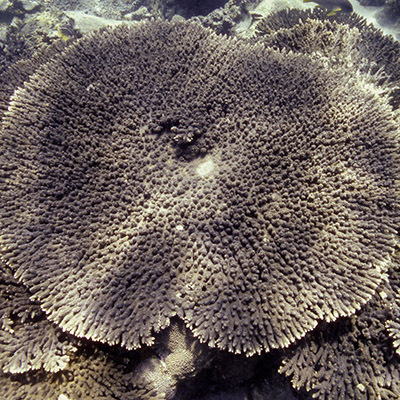 It is proclaimed to be the predominant barnacle of ports worldwide, its global distribution in warm and temperate seas is likely the result of unintentional ship-facilitated introductions, either as adult animals attached to ship hulls or as larvae in ballast water, across wide expanses of ocean for as long as sailing ships have been in existence. Amphibalanus amphitrite has not yet been assessed for the IUCN Red List of Threatened Species. Amphibalanus amphitrite is a medium-sized, cone-shaped, surface-fouling, sessile barnacle. It is conical in appearance and largest at the base. The surface of the test has a vertical ribbing. Its diamond-shaped operculum is protected by a movable lid formed by two symmetrical triangular plates. Its color is nearly white, with pinkish red to purple or brown vertical stripes. 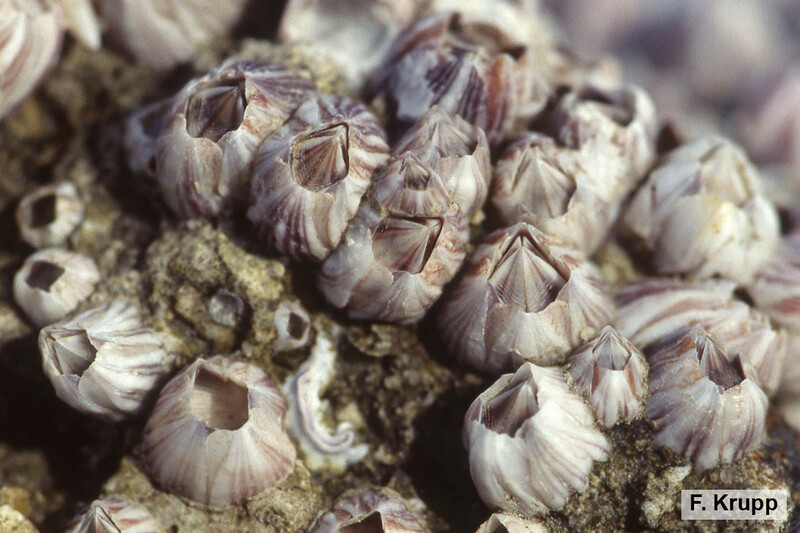 Shell valves are pale buff to white.